August 22 is the Feast of The Immaculate Heart of Mary, Traditional Calendar and the Queenship of Mary, the New Calendar. October 11 is the Feast of the Divine Maternity, both Calendars and the Queenship of Mary, Traditional Calendar. On the 11th OF October 1954, Pope Pius XII established the Feast of the Queenship of Mary to be celebrated throughout the world, and commanded that on that day each year, the world should renew its consecration to her. In the future the Feast came to be celebrated on 22nd of August. "The purpose of the Feast is that all may recognize more clearly and venerate more devoutly the merciful and motherly sovereignty of her who bore God in her womb" (Ven. Pius XII, Ad. Coeli Reginam). 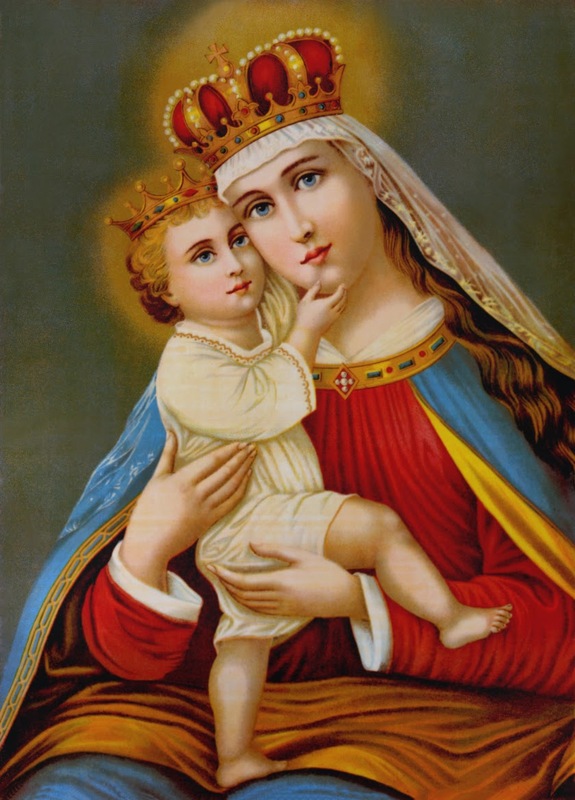 What Christ has done in Heaven and the Church has done on our behalf we should now do individually, that is, we should recognize Mary's Queenship, enthrone her in our homes, consecrate ourselves to her and, by this means, establish in our lives the reign of Mary Immaculate Queen of the Universe.